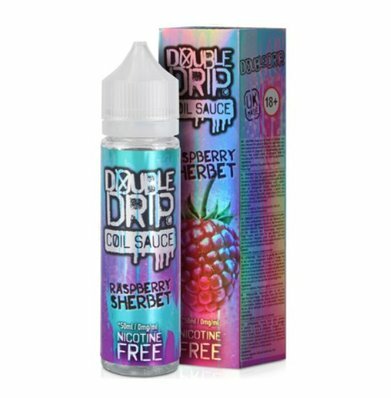 Double Drip Raspberry Sherbet E-Liquid Shortfill | Electronic Cigarette Co.
Raspberry Sherbet e-liquid from Double Drip Coil Sauce is a balanced blend of raspberries and sherbet. This is an 80% VG e-liquid blend which means it's a thick juice and will produce a lot of vapour. It's for use with sub-Ohm heating coils (a coil with a resistance of less than 1.0Ω), and a variable device so you can adjust the power for optimum flavour. Use our internal page link e-liquid blends if you want to learn more about thicknesses and PG / VG ratios. This will also explain about nicotine strengths, vapour production and throat hit, and it will also guide you through to suitable e-liquid for your device.